Lingual braces are braces fitted discretely to the inside your teeth rather than the front and so they cant be seen by anyone other than your dentist with his or her mirror! The brand we use is Secret Smiles. what are secret smiles braces? Secret Smiles Braces are a discreet fixed brace system available at our practice in Glasgow, which use wires and brackets attached on the inside of the teeth. No person will be able to see that you are receiving orthodontic treatment and straighter teeth are achievable in as little as 6 weeks. The braces are mainly used for mild to moderate tooth movement in cases that involve overcrowding or gaps affecting the front teeth. Secret Smiles braces use self-ligating wires and brackets attached to the tooth interior to quickly straighten smiles. Secret Smiles braces also differ from other fixed braces as they use self-ligating brackets, which encourage tooth movement without causing the pain and discomfort of traditional braces. Patients wear small brackets fixed to the back of the teeth and these are then brought into a straighter position by a thin, strong wire. what are the benefits of secret smiles braces? Invisibility – The main benefit patients find is the ability to receive brace treatment without anyone noticing. Many people are put off having brace treatment by the thought of thick visible wires and brackets, which may cause discomfort and embarrassment. This is not the case with Secret Smiles braces as the hidden wires and brackets go unnoticed throughout your treatment. Speed – the braces use self-ligating techniques to enhance the effect of the wires and brackets, meaning patients can see results in as little as 6 weeks. Traditional fixed brace treatment can take years to move teeth into proper alignment, but with Secret Smiles braces this time is greatly reduced. Comfort – they are also one of the most comfortable brace systems due to their friction-free, self-ligating brackets. When wearing traditional braces with elastic bands, return appointments must be made to replace the elastic and correct wire position as the teeth move. With Secret Smiles braces the brackets allow the wires to move throughout treatment, so there is no need for numerous return appointments. what is the cost of secret smiles braces? The price of this treatment is £2500.00 for one arch and £3500.00 for two arches. are secret smiles braces a suitable treatment for everyone? This treatment is best suited to patients experiencing mild to moderate crowd or gap problems affecting the front teeth. For more severe orthodontic conditions we can suggest other brace systems to help you achieve the look you want. If you want to learn more on Secret Smiles braces in Glasgow and want to know if you are suitable for treatment, please contact the practice and we can arrange an initial consultation. 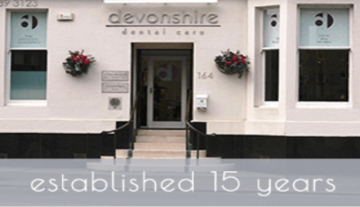 We will answer any questions you have and assess your suitability for treatment. why should secret smiles braces be my first choice? Secret Smiles braces combine the effective tooth movement of fixed braces with the discreet appearance of clear aligners. They are an ideal brace system for patients looking for a way to straighten their teeth without drawing attention. are secret smiles braces painful? At first there may be some discomfort when wearing Secret Smiles braces, but this discomfort will soon subside within the first few days of wear. Due to the self-ligating brackets the braces are a great deal more comfortable than other fixed brace systems. how long does treatment take to complete? Treatment with Secret Smiles braces can sometimes take as little as 6 weeks but for the majority of patients results can be seen in around 16 weeks, which is a great deal faster than most brace systems. does the brace have any side-effects? There may be some initial pain when wearing the braces and you may find some difficulty with your speech. But these problems will soon disappear as you get used to your brace. how long do i have to wear secret smiles braces? Treatment time for Secret Smiles braces varies but it is a great deal faster than most other brace systems. You can expect results in 6-16 weeks.